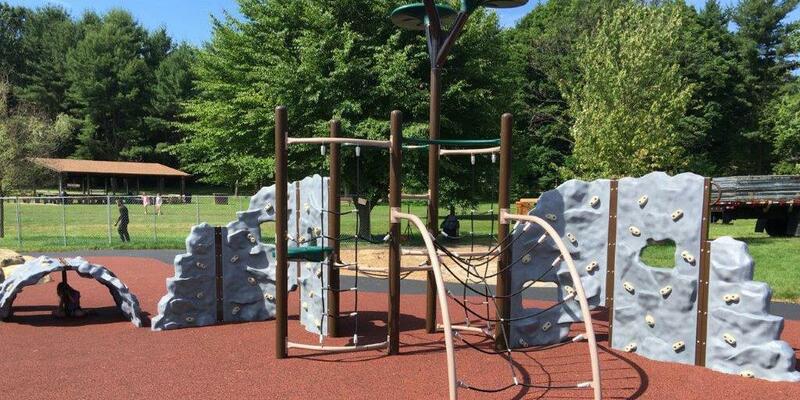 ​Ever wonder how your local park was able to get that new swing set? Or how construction on that bridge began at your favorite Pennsylvania state park? Or how your favorite walking or biking trail came to be? These successes may have been possible because of a fund that’s supported thousands of community improvements in Pennsylvania: The Keystone Recreation, Park, and Conservation Fund (Keystone Fund). In 1993, the Pennsylvania General Assembly established the Keystone Fund, a permanent dedicated funding source for making investments in recreation, parks, conservation, historical preservation, and more in communities across the state. They Keystone Fund’s 25th anniversary was July 2, 2018, and DCNR and its partners continue to celebrate the fund and all that’s been accomplished because of it. The fund has created a lasting impression on communities by improving quality of life for individuals and families, and helping to boost local economies. What’s Been Accomplished in 25 Years? The Keystone Fund is DCNR’s primary source of funding for recreation and conservation grants, funding more than 4,500 projects. Many state park and forest improvements, such as visitor centers, restrooms, parking lots, bridges, etc. Our state parks and forests need regular capital improvements to meet the needs of their tens of millions of users. The Keystone Fund provides funding critical for rehabilitating and upgrading park and forest infrastructure, which helps conserve these resources and ensure a safe and healthy setting for public recreation and environmental education. The Outdoor Industry Association recently identified Pennsylvania as the fifth largest outdoor recreation economy in the nation, supporting an estimated 261,000 jobs. The fund’s investments support this outdoor recreation economy, generating hundreds of millions of dollars in economic activity, ranging from recreational purchases and wages to increased values of properties. In fact, each dollar of Keystone Fund investment typically leverages $3.13 in direct local investments in parks, trails, community green spaces, and libraries. Learn more about the economic benefits of conservation from the Pennsylvania Land Trust Association’s Conservation Tools. The Keystone Fund has provided countless accomplishments and success stories throughout the years. The Keystone Fund is supporting the design and rehabilitation of the Safe Harbor Bridge over the Conestoga River on the Enola Low Grade Rail Trail in Manor and Conestoga townships, Lancaster County. The bridge is a former railroad trestle spanning over 1,500 feet across and over 100 feet above the Conestoga River. When completed, the bridge will connect 28 miles of open trail in Lancaster County. Those 28 miles have the potential to then connect with the Chester Valley Trail and Schuylkill River Trail in Chester and Montgomery counties and eventually into the City of Philadelphia. This project also is supported by significant funding commitments from the Pennsylvania Department of Transportation and Lancaster County. The demand is high for Keystone Fund projects, with nearly 40 percent of projects submitted to DCNR going unfunded last year. The funded projects create real and lasting improvements that make Pennsylvania a highly sought-out place to live, work, and play. Without this funding as an incentive, many local investments in conservation and recreation would dry up. With 25 years under the commonwealth’s belt, DCNR and partners strive to continue and improve upon the great successes of the Keystone Fund, to support and improve resources for generations to come! Learn more about DCNR’s grants programs and successful projects from DCNR’s website.